While there are many digital images that can truly capture the essence of a magical moment, nothing but a true print image brings life into those shots. Printed on paper and set in permanence, these images are markers of those moments in our life that warranted the effort of taking a photograph. As such, it is our responsibility to protect our old photographs by all means necessary. But for those used to the convenience of a camera phone and digital enhancement, how are they supposed to know the proper way of protecting and preserving photographs? Do not procrastinate. Who has time for that? As soon as you find your old photographs and notice the odd stain or two on the print, you suddenly realize the thousand other chores you should be doing instead. Ignoring your old photos won’t make the marks go away; it will only increase the damage. So if you see that the pictures are starting to look yellow and frayed, take action immediately and set a goal for yourself so that you can have time to restore them before it’s too late. That beautiful photo of your grandparent’s wedding demands your attention. The dozen or so out-of-focus shots of your 2-year old brother running around in his diaper may not. When choosing to restore photos, consider each picture and identify whether that picture is important to your family or not. You can always (and inexpensively) use digital photo scanning. Photographs that are out of focus, poorly shot or simply unimportant should not hold your attention for more time. 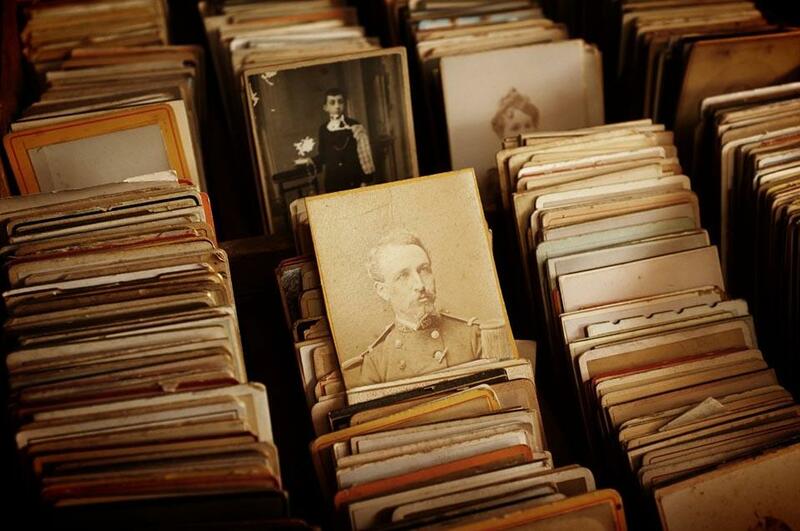 Prioritize your pictures into piles and show them to your family members as well so that you don’t end up throwing a picture that might hold some importance for them. Old images make beautiful memories, but you can’t put memory up for display if it’s about to disintegrate. Instead of taking the risk, have the picture professionally scanned. The worst thing you can do is throw away the pictures that have been with your family for generations. While technological advances do allow us to perform picture editing and print out restored ones, you shouldn’t discard the original simply because the new one is without faults. A picture that is old, holds emotional value, and should be treated with respect. Besides, if something happens to your storage device and you lose the restored image, at least you have the original to fall back on. Storing your old pictures requires effort. Material such as archival quality paper, plastic boxes, acid-free slips and acid-free cardboard boxes are just the start. Old photographs provide us with the luxury of witnessing texture, technique, formats, styles and paper quality that does not exist anymore. Keeping the pictures away from poor environmental conditions and storing them in a dry cool spot inside a sturdy cabinet will ensure that they stay safe from any event that might cause harm to its surroundings. Want to know more? Contact Heritage Photo Restoration and Genealogy and find out all the information required to keep those memories of yours safe, and properly preserved. We also provide stunning photo retouching in houston and absolutely (really) amazing photo restoration! While there are many digital images that can truly capture the essence of a magical moment, nothing but a true print image brings life into those shots. Printed on paper and set in permanence, these images are markers of those moments in our life that warranted the effort of taking a photograph.